Casimir III, King of Poland was born on 30 April 1310. He was the son of Wladislaw I, King of Poland and Hedwig Piast.1 He married, firstly, Anne of Lithuania, daughter of Gediminas, Grand Duke of Lithuania and Olga of Novgorod, on 19 October 1325. He married, secondly, Adelheid von Hessen, daughter of Heinrich II Landgraf von Hessen, in 1341.1 He married, thirdly, Hedwig of Sagan, daughter of Henry V of Sagan, Duke of Sagan, in 1363.1 He and Adelheid von Hessen were divorced in 1356.1 He died on 5 November 1370 at age 60. [S6] G.E. Cokayne; with Vicary Gibbs, H.A. Doubleday, Geoffrey H. White, Duncan Warrand and Lord Howard de Walden, editors, The Complete Peerage of England, Scotland, Ireland, Great Britain and the United Kingdom, Extant, Extinct or Dormant, new ed., 13 volumes in 14 (1910-1959; reprint in 6 volumes, Gloucester, U.K.: Alan Sutton Publishing, 2000), volume IV, page 446. Hereinafter cited as The Complete Peerage. [S6] Cokayne, and others, The Complete Peerage, volume IV, page 445. [S15] George Edward Cokayne, editor, The Complete Baronetage, 5 volumes (no date (c. 1900); reprint, Gloucester, U.K.: Alan Sutton Publishing, 1983), volume III, page 286. Hereinafter cited as The Complete Baronetage. [S15] George Edward Cokayne, The Complete Baronetage, volume II, page 143. 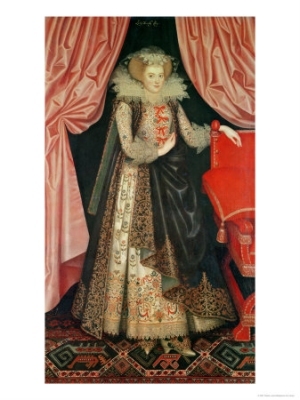 From April 1602, her married name became St. John.2 After her marriage, Elizabeth Paulet was styled as Baroness St. John of Bletso in September 1618. After her marriage, Elizabeth Paulet was styled as Countess of Bolingbroke on 28 December 1624. [S6] Cokayne, and others, The Complete Peerage, volume II, page 204. From 2 December 1630, her married name became Carey.1 After her marriage, Abigail Cokayne was styled as Countess of Dover in April 1666.